Time Travel stories at Techdirt. stories filed under: "time travel"
For this week's awesome stuff post of interesting crowdfunding projects, we decided to look at time travel. There are actually a bunch of crowdfunding projects for people writing (yet another) book about time travel, but here are three other types of interesting crowdfunding projects related (somehow) to time travel. A Brief History of Time Travel A Brief History of Time Travel is a documentary that's not about the concept of time travel itself, but how time travel has become such a big thing in popular culture. It looks at the history of time travel within popular culture and how it's changed over time. Given how common time travel is in so many books, video games, movies and tv shows, this looks pretty cool. 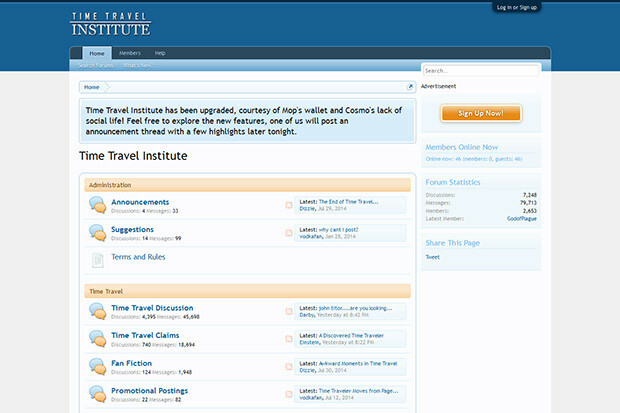 Save the Time Travel Institute I had no idea this existed, but the Time Travel Insititue is an online forum all about (you guessed it!) time travel. And apparently the website may go away, as its current owner has announced plans to shut it down. So there's a crowdfunding effort to save the Time Travel Institute and raise enough money to keep the site alive. 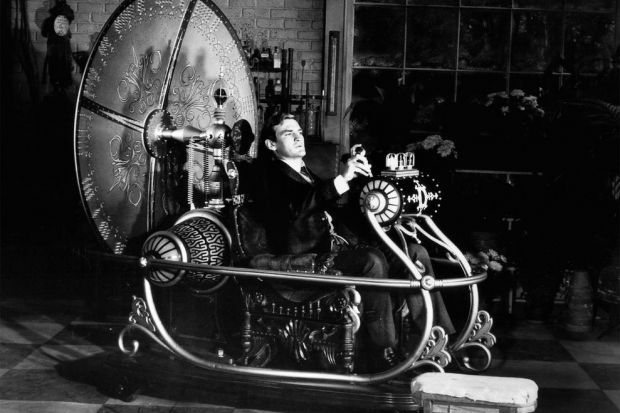 Time Travel Experiment Okay, look, we can't do a post about crowdfunding around time travel projects without at least one project that claims to be about actually trying to do time travel, so here it is. It includes references to an unpublished theses, entangled particles and superluminal communication. Personally, if I were asking someone to fund my time travel experiments I might actually put a lot more information into the pitch to actually explain who I am or what I'm doing, but whoever put this pitch together decided to keep it simply and leave out such details. Perhaps that's why it's only raised a grand total of $2 out of a requested $150,000. That's it for this week... unless you've figured out a way to travel back to the beginning of the week. Discussing the physics of time travel has come into vogue recently. Even Stephen Hawking -- who admitted he used to fear being labeled a "crank," if he discussed the physics of how time travel might be possible -- has explained how time travel might work (and revealed his desire to go back in time to see Galileo... and Marilyn Monroe). However, some new research states what most of you probably already thought: time travel is a physical impossibility. While I agree that seems likely, I have to admit that I'm a bit amused that the LA Times article about this seems to assume that because it's in a "peer-reviewed scientific journal," that makes it the unquestioned truth. And, while I, once again, tend to agree that it's likely that time travel is impossible, there have been plenty of other things declared impossible by scientists that later proved possible. Remember, Lord Kelvin declared "heavier-than-air flying machines are impossible," just eight short years before he was proven wrong.